This is fantastic! Little cheese rolls, breads or biscuits but we like to call it “Cheese Balls”. 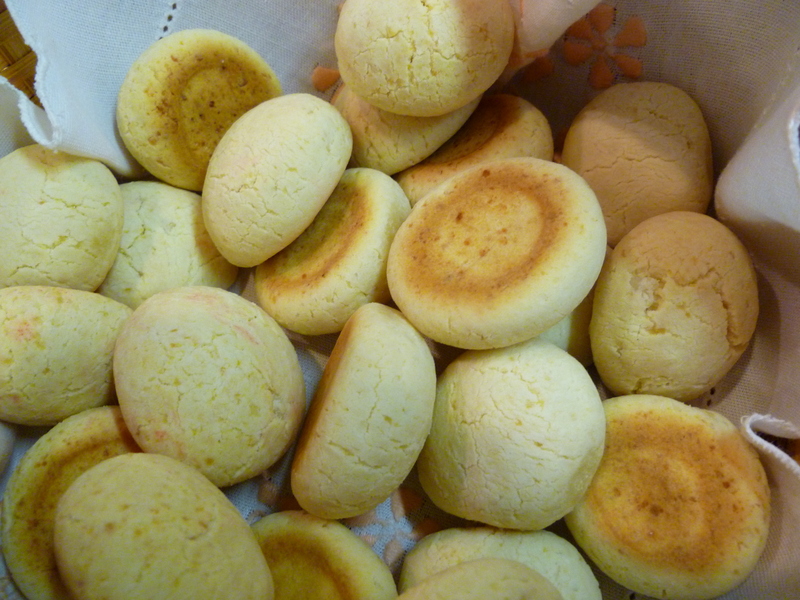 They are very tasty and very popular in Brazil especially in the State of Minas Gerais. They are perfect with coffee, as a snack, party treats , with dinner, anyway you want. They are very easy to make and gluten free. You can never eat just one! 8 Oz of shredded Parmesan and Romano Cheese combo. 1) Pour Tapioca starch in a large Kitchen Aid mixer bowl or in a large ceramic bowl if you do not have a big mixer. Add all ingredients and mix until forms into a ball. If you do not have a mixer mix using your hands and knead for about 5 minutes. The more yo knead the better it is. Cover the bowl with plastic wrap and set aside in fridge for 30 minutes. 2) Heat oven to 350 F.
3) Take small portions of dough using a tea spoon as a measure, roll them into small balls about 1and 1/2 inches and place them on a cookie sheet. Bake for 30 minutes. Serve warm with butter and jam, Brie cheese, hummus or just plain and enjoy. ← Chicken Stroganoff “Brazilian Way”.